Analysis: Is Israel building up for an offensive against Gaza? Gazans fear another Israeli military offensive is imminent, as Israel flexes its military muscle and Egypt joins the band, beating the drums of war. In November 2013, the Israeli military for the first time ever hosted a multinational military exercise; Greece, the US and Italy arrived to carry out the Blue Flag 2013 drill in the Negev simulating a ground incursion into Gaza. The move was described as the largest-ever aerial maneuver shared by international forces. A similar drill was also jointly organized by Israel and the US in July 2013. I have received two inquiries from oversees friends during the past few days regarding the high-pitch Israeli threats against Gaza, and Hamas in particular. The last one was asking for a confirmation of Israeli TV channels warning foreigners in Gaza to immediately leave, in anticipation for military action. The people here are accustomed to such intimidation; however, the explicit statements of Israeli officials, the latest of which is Netanyahu’s threat to ‘teach Hamas a lesson very soon,’ drew their attention to the prospect of a war targeting the unarmed, before proceeding to the armed citizens of Gaza. Both Israel’s 2008-2009 and 2012 offensives were said to be aimed at removing the threat of the firing of crude rockets into Israeli territory. However, this goal was never achieved: on the contrary, the assaults only resulted in the majority of the casualties being civilians. Up to 82% of the 1,400 and 103 out of the 156 Palestinian deaths killed during Operation Cast Lead andPillar of Defense respectively were civilians. The low-flying Israeli drones are a permanent source of fear to the Gaza population. Israel, as it did in Operation Cast Lead one year ago with the extrajudicial targeting of Hamas’ armed wing leader Ahmed al-Jabari, may launch a new offensive with a drone-propelled attack. Many here consider that a drone locally known as ‘Zannana’ (which means the buzzing [plane]) is more than just a spying machine, but an everyday teaser and TV watching ‘spoiler’ as satellite TV signals are jammed. Nowadays, they are ‘buzzing’ in an increasingly abnormal fashion; reminders of previous Israeli wars, where drones relay the code sound over the smoky patches of the Gaza skies. Moreover, deploying the rocket-intercepting Iron Dome system brings the bunker mentality to mind, characterizing the state of Israel in any approach to aerial warfare. A month ago, Israel redeployed three missile batteries near the southern cities of Beersheba, Sderot and Ashdod, part of the military’s “preparation for a possible escalation,” according to the Israeli defense minister. However, Hamas, who governs the Gaza Strip, has recently asked Palestinian factions to maintain the Egypt brokered cease-fire agreement secured in November 2012 after Israel’s eight-day offensive. Palestinians carry the bodies of four siblings out of a hospital morgue during their funeral in Gaza City on Nov. 19, 2012. Effectively, internationally campaigning for an upcoming war against the blockaded Gaza Strip, Israel is attempting to humiliate Hamas, by blaming certain Gaza factions for the escalating wave of violence. This is notwithstanding its condoning of the killing of six Palestinians from Gaza since December 20 — when Israeli troops shot a Palestinian who was near the northern Gaza border dead, allegedly in retaliation to Palestinians’ launching of a mortar round that hit southern Israel — which marked the start of the current unrest. As usual in the meantime, Gaza’s militancy is being inflated as being on a par with Israel’s. The Israeli ambassador to the United Nations, Ron Prosor, recently complained to the Security Council and to UN Secretary-General Ban Ki-Moon over two Gaza rockets that haphazardly hit the Negev causing no physical injuries or damage. To Gazans, the year-long rule of Egypt’s deposed President Mohamed Morsi, constituted a kind-of breather in the midst of a suffocating seven-year-long blockade. Restrictions were eased on the Rafah crossing, an undreamt-of move that Gazans enjoyed, albeit temporarily and not fully. I myself enjoyed traveling outside Gaza just 30 days before Morsi’s ouster. I was a member of a delegation of three professors and some 30 youths who were selected for a training course in teaching Arabic for non-Arabic speakers, part of the Islamic University of Gaza (IUG) program in El-Arish city in northern Sinai. Before we headed to Egypt, the coordinator of the course told us that as a Gaza delegation — it was a miracle to get the approval to enter into and stay in Egypt for a week. However, on the day of our departure, we had to wait five hours at the Egyptian passport administration for our passports to get stamped. We were eventually permitted to pass, but an IUG professor was turned away; ostensibly for security reasons. Under Morsi’s rule, some 50,000 Palestinians born to Egyptian mothers, mostly from the Gaza Strip, enjoyed being granted Egyptian citizenship, while 3500 others were on the list. Those who did acquire such nationality were exceptionally ecstatic, after having felt underprivileged with thePalestinian passport, not a treasure to be in possession of, especially when it comes to traveling to Arab countries. However, the joy was short-lived; with the rise of a new authority in Egypt, they were stripped of their Egyptian citizenship, and the feeling of rejection was redoubled. Palestinians travel through the streets of Gaza City after a storm caused flooding in Dec. 2013. Emergency response was crippled by the lack of power, a result of the Israeli-imposed siege. After the ousting of Mubarak, the uninterrupted flow of smuggled goods and basic materials like fuels and building materials, allowed for a relative uptick in the economy and a sense of normalcy in the lives of the Gazans. When the military seized the reins in July 2013, the tables turned again. Seven months have passed now, many jobs have been lost and the unemployment rate is expected to rise further. Above all, the once cordial Hamas-Morsi relations didn’t benefit the status quo in Gaza. Aside from Hamas’ outspoken statements denying interference in Egypt’s affairs and the unrest in the Sinai Peninsula, Egypt cannot help but point fingers at Hamas, only adding to the woes of the non-partisan people of the beleaguered enclave. The Arab peoples’ focus on their own political upheavals has added to the Gazans’ fear of being trapped in a new Israeli military escalation. Egypt had been subject to considerable unrest following the narrow presidential victory of Mohamed Morsi, the Muslim Brotherhood candidate, in the summer of 2012. The Egyptian public became disenchanted with his policies and expressed their disapproval through continuing street demonstrations. Attempts by Morsi to put down the swelling protest movement against him only seemed to exacerbate the situation. The Egyptian Chief of the Army, General Abdel Fattah al-Sisi, reacting to the popular outrage against the Morsi administration deposed and arrested him. As expected, this was a controversial move. Some countries called Sisi’s move an army coup. The United States appeared to sit on the fence. While declining to characterize the removal of the elected president as a coup, it suspended a portion of the roughly 1.6 billion dollars of annual aid-most of it to the Egyptian military-it disburses to Egypt. The Muslim Brotherhood reacted with large-scale protests at the ouster of Morsi, some of which turned violent and were put down with ferocity by the Egyptian police and army elements. According to some estimates since July 2013, 1,000 protesters have fallen victim to the bullets of the Egyptian forces. With the passage of time, the protests which were aimed at reinstating Morsi seemed to have abated, but Egypt is far from attaining a degree of normalcy. The interim government put in place by the Egyptian military has declared the Muslim Brotherhood a terrorist organization. It is doubtful if this is a wise move. The Morsi government may have committed a number of mistakes and failed to carry the people with it. However, removing an elected president ostensibly in response to public outcries against him, could only mean that the democratic process in Egypt had suffered a severe setback. The latest reports suggest that General Sisi, with the advice and support of his fellow generals, will offer himself as a candidate for the forthcoming presidential election. In the absence of the Muslim Brotherhood or any other credible candidate, Sisi is virtually certain to be elected. During this period, he has also promoted himself from General to Field Marshal. This has raised some eyebrows as Sisi, in his military career, has not seen any major combat. His career has included postings as defense attaché abroad and also as head of Egyptian intelligence. There is no doubt that he is arguably the most popular man in Egypt today. However, the popularity and acclaim that he has garnered by removing Morsi, who had become unpopular with a segment of the Egyptian people, could one day also backfire on him. Egypt, the largest Arab country at around 85 million, suffers from multiple problems of poverty, unemployment, a bloated and unresponsive civil service, and severe economic deficits, not least because of the long-standing subsidies given to different sectors of Egyptian society. Whether Sisi has the capacity and imagination as a military man to effectively tackle Egypt’s myriad problems must remain an open question. The odds are probably against him. While his army predecesor Gamal Abdel Nasser could enjoy popularity and approbation for nearly two decades, despite defeat at the hands of Israel in the 1967 War, Egypt has moved on since Nasser’s demise in 1970. Sisi may not enjoy the luxury of retaining his popularity for anywhere near that length of time without effecting a palpable improvement in the lives of his Egyptian compatriots. Jerusalem (AFP) – Israeli government and business leaders are alarmed by a growing international boycott movement and the likely effect of EU measures against exports from Jewish settlements in the occupied West Bank. Cabinet ministers are to meet next week to hammer out a strategy against a growing international campaign to boycott trade linked to settlements, Haaretz newspaper reported Friday. 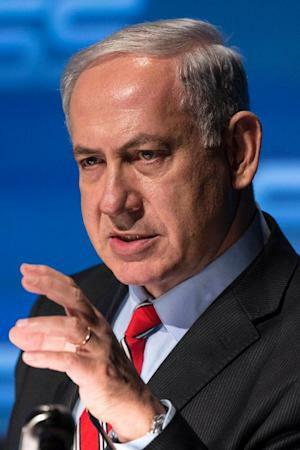 And a group of top Israeli businesspeople has launched a publicity campaign urging Prime Minister Benjamin Netanyahu to make peace with the Palestinians for the sake of the economy. In the latest developments, Norway’s sovereign wealth fund blacklisted Thursday two Israeli companies involved in building settlements in Israeli-occupied east Jerusalem and US actress Scarlett Johansson stepped down as Oxfam ambassador amid a storm over her ad campaign for a firm operating in a settlement in the occupied West Bank. These incidents highlight the creeping success of a campaign to boycott trade linked to settlements built on Palestinian land seized during the Six Day War of 1967, and viewed by the international community as illegal. Meanwhile, the European Union recently moved to block all grants and funding to any Israeli entity operating beyond the 1967 lines, sparking growing alarm in Israel. Lars Faaborg-Andersen, the EU’s ambassador to Israel, told AFP last week that, in addition to coordinated action by the body, Israel’s constant settlement construction was fuelling private moves to boycott products and services linked to the settlements. He said initiatives in Europe to require separate labelling for goods manufactured in the settlements were gathering pace every time Israel announced a new round of construction. Israeli Finance Minister Yair Lapid warned Wednesday that the breakdown of current peace talks with the Palestinians could strengthen the boycott, divestment and sanctions (BDS) movement and deal a body blow to the economy. 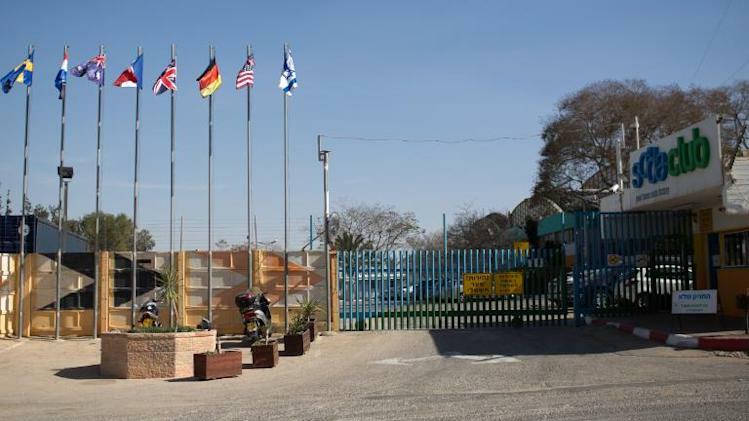 Israel is a country dependent on exports, with 33 percent of its foreign trade conducted with the European Union, he told a security conference. “Europe is our primary market,” he said. “Even a 20 percent fall in our trade with Europe would mean 9,800 workers being fired immediately,” he said. “Even a partial European boycott would be felt by every Israeli, and the cost of living would go up,” he added. “Exports will drop by some 20 billion shekels ($5.7 billion/ 4.2 billion euros) annually; GDP will drop some 11 billion shekels,” he said. Last May, the Palestine Liberation Organisation published an estimate of EU imports of goods produced on settlements, which it put at 229 million euros a year. While some Israeli companies set up in occupied territory to take advance of tax breaks, low rents and soft loans, others do so for ideological reasons, believing in the Jewish religious imperative to settle the biblical land. 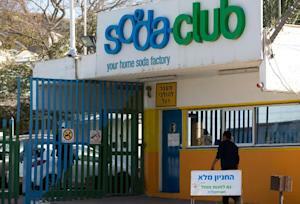 SodaStream, the home soft-drink machine maker that hired Johansson this month, says it hadn’t chosen to set up in Maale Adumim settlement, east of Jerusalem, but simply inherited the facility when it acquired the business in 2007. Senior executive Yonah Lloyd told the Jerusalem Post that would mean making 800 Palestinians and 500 Israelis jobless. Commenting in Haaretz, Egyptian-Belgian journalist Khaled Diab said that while boycotts could change the behaviour of commercial enterprises they were unlikely to change state policy. The film “‘Lost in Translation’ brought Scarlett Johansson global fame. Will the actress’s latest role — lost in the occupation — earn her widespread infamy,” he asked. The Israeli regime is ramping up economic pressure on Palestinians in the Gaza Strip in a bid to pit them against the resistance movement, Hamas, an analyst tells Press TV. “They (Israeli forces) want to stifle the people to the point in which they are trying to push…Palestinians in the Gaza Strip against Hamas government,” Hani al-Bassos said on Friday. “So this is an attempt by the occupation to push the people to the corner, to push them hard in order to revolt against the government in Gaza,” said al-Bassos. On January 29, an environmentalist organization said Palestinians in Gaza are facing a deepening water crisis as Israel maintains its crippling siege on the impoverished coastal enclave. Gaza has been blockaded since June 2007, a situation that has caused a decline in the standard of living, unprecedented levels of unemployment, and unrelenting poverty. Israel denies about 1.7 million people in Gaza their basic rights, such as freedom of movement, jobs that pay proper wages, and adequate healthcare and education. Photo: AP Citizen journalism image provided by Aleppo Media Center (AMC), an anti-Bashar Assad activist group, which has been authenticated based on its contents and other AP reporting, shows a Syrian man carrying the body of a child who was killed following a Syrian government airstrike in Aleppo, Syria. The conference didn’t produce any tangible results, although connections made in Switzerland are likely to develop into prolonged negotiations to try to resolve the war. The conflict began as largely peaceful protests against Assad in March 2011, but the uprising since became an increasingly sectarian civil war that has killed more than 130,000 people. It has forcibly displaced one-third of the entire prewar population of 23 million, including over 2 million who have flooded into neighboring countries. Tens of thousands more are blockaded in rebel-held areas, where Assad loyalists prevent food and aid from entering to break their resistance. Among the most active of the rebel groups are hard-line Sunnis linked with al-Qaida, some of whom are blamed for atrocities targeting minorities. The violence has also crossed over into Syria’s neighbor Lebanon. Shells fired by Syrian government tanks exploded in ravines and valleys of the mountainous northern province of Akkar, killing one Syrian living in Lebanon and wounding several others, a Lebanese security official said. He said at least 50 tank shells hit in and around eight villages on the border. Observatory director Abdurrahman said the shelling was likely a response to an attack by rebel gunmen on the Syrian villages of Bahlawaniyeh and Ghida, whose residents belong to the minority Alawite sect to which Assad belongs. He said rebels fired at the villages from inside Lebanese territory, killing five men. It was impossible to immediately reconcile the conflicting reports. Within Syria, government helicopters continued to unleash barrel bombs packed with explosives and fuel on rebel-held parts of the northern city of Aleppo. The crude bombs cannot strike targets with precision and cause massive damage upon impact. On Thursday, at least 16 people were killed in Aleppo from similar strikes. The Aleppo Media Center, another activist group, said five died in Friday’s strikes. Conflicting tolls are common in the wake of the strikes. Later Friday, Syrian Defense Minister Gen. Fahd Jassem al-Freij visited several military posts in the city and vowed that it would be “free of terrorist groups soon.” He said Saudi Arabia, one of the strongest backers of the Syrian opposition, “supported terrorism that is targeting Syria.” But the “conspiracy is falling under the strikes of our valiant army and victory is near,” the state media quoted him as saying. In the capital Damascus, aid workers handed over 980 food parcels to the besieged rebel-held Palestinian refugee camp of Yarmouk, U.N. spokesman Chris Gunness said. The camp suffers from a blockade by government forces on food and medicine, and activists say at least 85 people have died since mid-2013 of starvation or illness exacerbated by hunger or lack of medical aid. The distribution came a day after 1,026 food parcels were handed out in the area, Gunness said. The state-backed Syrian television channel Al-Ikhbariya meanwhile said a mortar round struck Damascus’ historic Ummayad Mosque in the city’s old quarter wounding at least nine people. The mosque was hit several times in the past two years. Israeli warplanes have carried out three airstrikes on different parts of the Gaza Strip, as the Tel Aviv regime intensifies its military operations against the besieged Palestinian territory. According to Palestinian security officials, the Israeli regime’s F16 warplanes fired missiles on the Gaza Strip on Friday morning, causing three successive blasts in the northern, eastern and southern parts of the Palestinian territory. Medical sources said the Tel Aviv regime’s fresh aerial assault wounded at least eight Palestinian civilians in the city of Rafah in the southern Gaza Strip. Reports also say that two Palestinians had been injured in the northern part of the besieged coastal enclave. Rescue teams and ambulances have reportedly rushed to the targeted areas. The Tel Aviv regime has claimed in a statement that the airstrikes were carried out in response to a rocket fired from the Gaza Strip on Thursday night. On January 22, Israeli forces launched a similar airstrike on the blockaded Gaza Strip, killing two Palestinians. A Muslim man walks out of a damaged mosque in Rakhine state, Oct. 3, 2013. Following international pressure, the Myanmar government has launched an investigation into the latest violence in Rakhine state in which the United Nations said at least 48 Muslims have been killed. But no foreign groups will be included in the probe team as requested by the U.N., United States, and human rights groups following the reported killings by Buddhist mobs in Du Chee Yar Tan village in Maungdaw township earlier this month, according to local media. Rakhine is home to the minority Muslim Rohingyas, most of whom are regarded as illegal immigrants and have borne the brunt of the violence since it erupted in 2012, leaving more than 200 dead and tens of thousands homeless. Speaking at a briefing in Yangon on Tuesday, Myanmar Foreign Minister Wunna Maung Lwin said the team that would investigate the circumstances that led to the Maungdaw violence would include representatives from three government-appointed bodies—the Central Committee for Rakhine State Peace, Stability and Development Implementation; the Myanmar National Human Rights Commission; and the Rakhine Conflict Investigation Commission, the state-owned New Light of Myanmar reported. It added that the government would, however, arrange for foreign diplomats, including a team led by the European Union ambassador, to travel to Maungdaw to look into the issue. U.S. Ambassador to Myanmar Derek Mitchell on Wednesday reiterated calls for the government of Myanmar to allow an international representative to take part in the investigation. “What I would ask for them is, if possible, to have an international representative—a credible person from the international community who can take part and assist in that process and therefore reassure people on the ground in Rakhine and the international community that it’s not simply the government investigating the incident,” he said. Wunna Maung Lwin said the three groups in the probe team would hold separate investigations into the killings, which reportedly occurred in two incidents between Jan. 9 and 13. In the first incident on Jan. 9, eight Rohingya Muslim men were attacked and killed by local ethnic Rakhine Buddhists, the U.N. High Commissioner for Human Rights Navi Pillay said last week, citing what she called “credible” information. This was followed by what she said was a clash four days later in which a police sergeant was captured and killed by the Rohingya villagers, she said. Following this, on the evening of Jan. 13, at least 40 Rohingya Muslim men, women, and children were killed in Du Chee Yar Tan village by police and local Rakhines, she said in a statement, adding that information gathered by the U.N. has already been shared with the Myanmar government. Aid group Doctors Without Borders (MSF), among a few outside groups allowed to operate in the region, said last week that it had treated at least 22 patients with injuries believed to have resulted from violence in the village. The organization said it was concerned that more victims could need medical treatment and urged the government to allow access to the area. Thailand-based rights group Fortify Rights said that it had spoken to witnesses and other sources who confirmed the killings, believed to be the deadliest incident in Rakhine state since 2012, when two rounds of violence between local Rakhines and Rohingyas sparked religious unrest that has since spread across the country, leaving some 250 people dead. Myanmar’s government considers most of the estimated 800,000 Rohingyas in the country to be illegal immigrants, although many of them have lived in the country for decades. The U.N. has referred to the group as one of the most persecuted minorities in the world. Myanmar President Thein Sein visited Rakhine state in October last year, calling on Buddhists and Muslims to sink their differences and prevent further bloodshed, as rights groups warned that the unending sectarian strife could dampen his reform program, which has earned praise across the globe and resulted in the lifting of long-running international sanctions imposed during the previous military junta rule. By now you have likely heard about the controversy over Hollywood star Scarlett Johannson and her love triangle between SodaStream, a company that manufactures products in an Israeli settlement and Oxfam, an international NGO that opposes settlements. The contradiction is obvious and for anyone still unclear, this info-graphic is helpful. But one of the most pernicious responses in this debate from the anti-BDS crowd has been to claim that such a boycott would hurt Palestinian workers employed at SodaStream’s factory in the illegal Israeli colony of Mishor Adumim. The long and dark history of colonialism is littered with this sort of thing. Some Europeans justified the treatment of Native Americans because they were “civilizing” them. We witnessed similar arguments in more recent periods of colonialism in Africa, for example. The notion that systems of oppression can be justified because of the limited and perceived gains that they may afford to a few while dispossessing them and most of their kin in a variety of other ways is not new. Yes, a Palestinian working in a settlement may not otherwise have a job. Unemployment in the West Bank is above 20%. The problem is that the settlements and the system they are part of reinforce the economic realities that force Palestinians into choosing working within the very system that oppresses them. The problem is that many Palestinians are confronted with the choice of seeking livelihood within this system or having no livelihood to speak of. This is a reflection of the captive labor market dynamics of the occupation. Palestinians should have the choice to work for and within their own independent economy but they don’t. That is the problem here and it is a problem that is created, enforced and supported by Israeli settlements. Restriction on Movement – “The establishment of Israeli settler-only roads and military zones” says Oxfam in this report on the Jordan Valley, “means that many Palestinian farmers throughout the Jordan Valley are not able to access their farms. Tractors and other equipment are often confiscated, while herders are prevented from grazing their animals, which are often impounded for straying into a military zone. Palestinian herders must also buy wheat or barley to feed their herds, because they do not have access to their pastures.76 These significant additional costs incurred due to restrictions on access and movement are stifling production and driving many Palestinian households further into poverty. In Geneva, the first round of Syrian “peace talks” concluded this morning, but with no discernable concrete progress in evidence. Even an agreement on getting aid into the Opposition-held area of Old Homs, despite trucks standing by loaded with supplies, has foundered on a disagreement between the 2 sides on whether women and children should be allowed out first or after supplies have gone in. Meanwhile people continue to starve. The UN envoy, Lakhdar Brahimi, said he was “very, very disappointed” over the issue. One small glimmer of agreement yesterday, Thursday, was when the Opposition suggested a minutes silence to remember all those who had died in the Syrian conflict, from whichever side they came from. The Syrian Government readily agreed and all stood up to honour the dead. “Symbolically it was good,” Opposition delegate Ahmad Jakal, but the two sides soon after reverted to accrimonious debate over the issue of “terrorism”. The Assad delegates wanted to issue a jointly agreed communique on “terrorism” but the Opposition objected over the definition of who exactly these “terrorists” were. To the Assad regime everyone who opposes them is a “terrorist”. Louay al-Safi for the Opposition said, “The regime today provided a one-sided communiqué. It wants to confuse ISIL with the people of Syria who took up arms and defended their families”, noting that the communique ignored the fact that the Free Syrian Army were also fighting extreme Jihadists and that the Syrian Government were using fighters from Iran, Iraq and Hezbollah. Ahmad Jarba, the leader of the Opposition Syrian National Coalition, is to visit Moscow on Tuesday to have discussions with Russian officials at their invitation. The talks in Geneva are expected to resume on the 10th of February, though at the moment things do not look promising. However, on a moral level at least, victory goes to the Opposition for the way they conducted themselves, staying calm, reasoned and respectful throughout the first week of talks, even when provoked. By contrast the loud, long, emotional speeches and reactions by the Syrian Government side, clearly embarrassed their allies the Russians, as well as UN officials. Most observers expected Assad’s officials to present themselves as “grown-ups” at least and the Opposition as “political amateurs”, but in fact the opposite was true. During Walid Al-Moullem’s long, rambling opening tirade, in which he clashed on time issues with the UN General Secretary Ban Ki-Moon, Russia’s Foreign Minister, Sergie Lavrov, sat with a pained expression on his face and even tapped his watch. Assad’s officials seemed uncharacteristically brittle to some, bristling at small slights, clashing with journalists and making ludicrous statements like “all the damage in Homs has been caused by terrorists”. Perhaps, as some have suggested, they were performing for Assad and his loyal audience back home. Outside the conference hall, Assad’s diplomats were also met by an emotional (EDITOR: And justified) tirade by the Mother of Dr. Abbas Khan, the British surgeon who died in one of the regime’s prisons, just days before his scheduled release. Having travelled from Britain to Switzerland and obtained a visitor’s pass to the UN’s European offices – where the talks were carried out behind closed doors – Mrs.Fatima Khan waited hours for the delegates to emerge and speak to journalists in the garden. In the latest statement this afternoon, Friday. Lakhdar Brahimis said that the Opposition delegation has already agreed to resume talks in Geneva on February 10th, but the government delegation says it needs to “consult with Damascus before deciding”. The Syrian Observatory for Human Rights says that it has counted 1,870 deaths in Syria since the day the talks started on January 22nd until midnight yesterday, Thursday, at least 430 of them civilians killed by bombs, snipers and missiles. As a result no doubt of some of the pressure created by Geneva, another delivery of relief supplies was allowed into the Yarmouk camp in Damascus yesterday, the 3rd such delivery since January 17th. On Thursday 720 food parcels were allowed in, bringing to around 900 the total delivered. Each parcel is supposed to contain enough basic food for a family of 5 for a month, though the number delivered is far short of feeding the 18,000+ civilians still within the boundaries of Yarmouk. Meanwhile, across the capital the Assad regime kept up its relentless bombing campaign on the Opposition held suburb of Daraya, dropping an estimated 40 barrel-bombs in the last 48 hours, including at least 6 this morning, Friday, in an attempt to drive out Opposition fighters. 11 people were reported killed by the bombing in Daraya on Thursday, including 5 children and 2 women, though it could have been worse as many had taken to shelters beforehand and most of the bombs hit empty or evacuated buildings. Daraya, where the Opposition have held out against bombs, shells, missiles and gas for more than 2 years is a key suburb between central Damascus and the Opposition strongholds in Eastern Ghouta. Other unconfirmed reports also suggest that there is a build up of Hezbollah troops in the Qalamoun area and near the Lebanese border in preparation for a major Government attack on the Opposition stronghold of Yabroud. The deadly and devastating effect of Assad’s barrel-bomb campaigns against various Opposition controlled areas of Syria’s cities has been examined by Human Rights Watch (HRW) in a report called “Razed to the Ground” issued yesterday Thursday. In it, using satellite photographs, HRW is able to show conclusively that the Assad regime has run a systematic and deliberate campaign to punish its citizens who have supported the Opposition and to push Opposition fighters out of strategic areas. The current before and after pictures show devastated areas in Damascus and Hama, but HRW is examining others and compiling evidence, including witness statements. Ole Solvand of HRW says the practice of destroying civilian areas, either as a form of punishment or in an attempt to clear ground, contravenes the laws of war. Nothing was left of her neighbourhood either: more than 40 hectares were flattened in the first two weeks of October 2012, says HRW. Elsewhere in Syria, Opposition fighters have captured the town of Sowaisah in Quneitra province, taken over the Atshan checkpoint east of Morek in Hama province and killed 16 Syrian Army soldiers at a checkpoint at Ammar Al-Hesen in the western part of Homs province. Also in Homs province the Opposition-held village of Al-Zara is under sustained surface to surface missile and shell attack as Government forces surround and try to take the town and ancient fortress at Krac Des Chevaliers. Further reports over the Turkish Army attack on an ISIL convoy on Syrian soil on Wednesday (scroll down, see below) suggest that the strike, which unconfirmed reports say killed 11 Jihadists, was actually pinpoint shelling by Turkish tanks or artillery, though F-16s were reported overhead at the time. Lastly, have you ever wondered just what millions of displaced Syrians, especially children, are going through this winter inside Syria or in refugee camps, with little food, little or no heating and insufficient clothing?